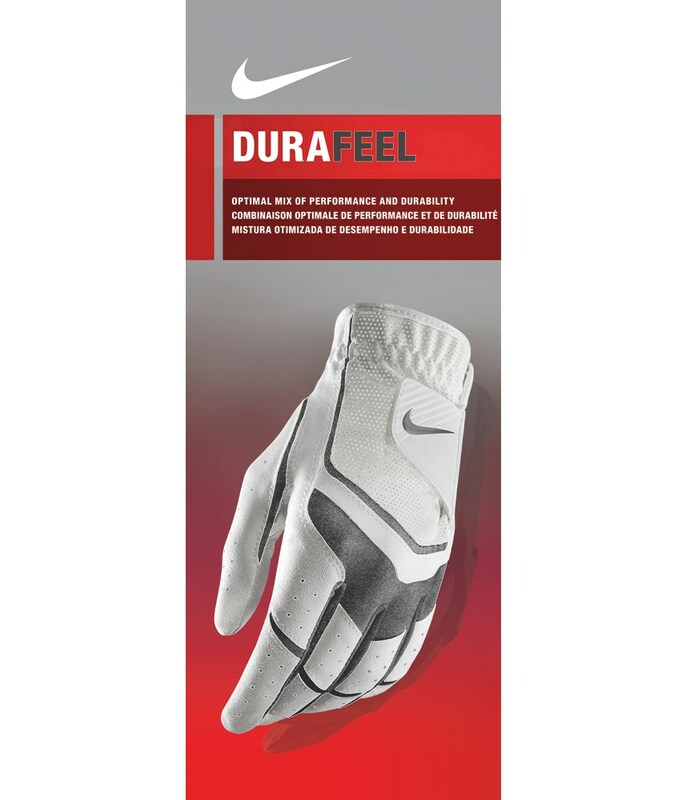 The Nike Ladies Dura Feel V Leather glove is a premium glove that will give you the levels of performance that you need during all weather conditions. 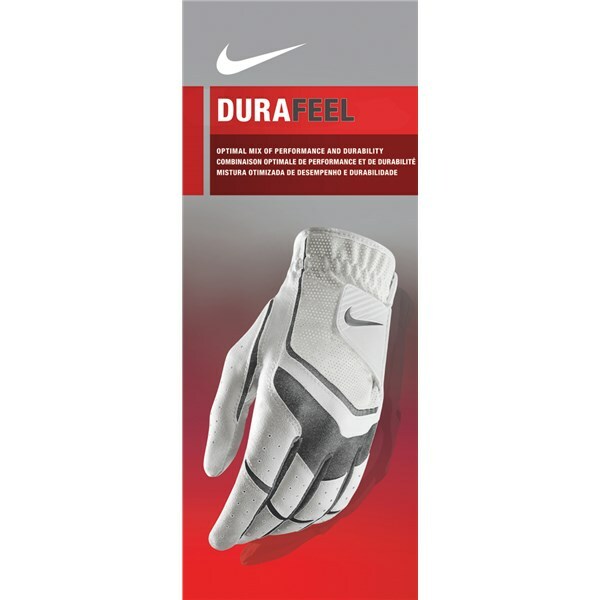 Made from an enhanced synthetic leather with premium leather patches the Nike Ladies Dura Feel V provides the necessary grip and feel to make those all important shots around the golf course. 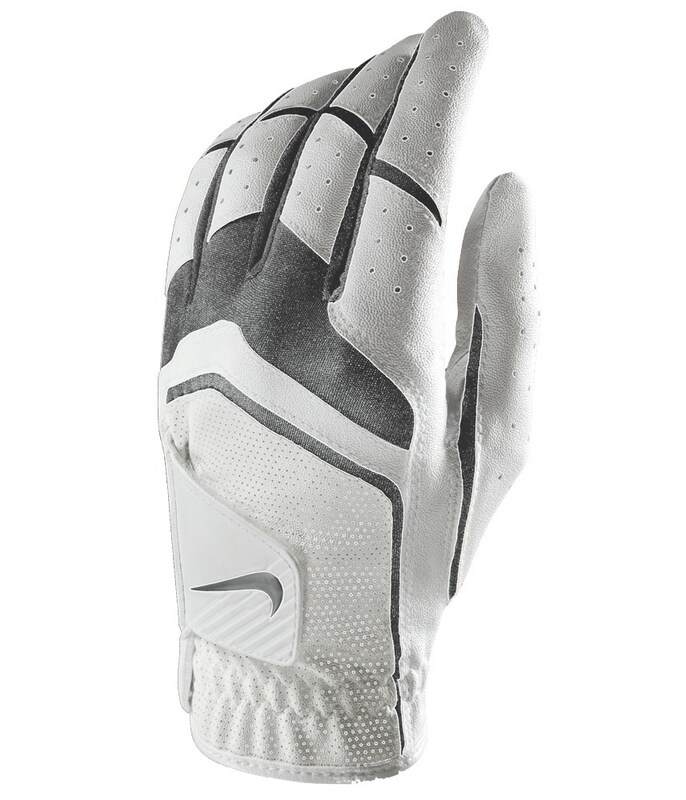 Nike have made the back of the hand from a perforated synthetic leather to enhance the breathability properties of the glove and increase the natural movement in the glove. To aid that further Nike have strategically place stretch fabrics in the fingers and the back of the hand.